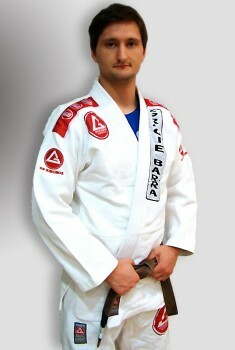 In this video Professor Robert Hill from GB Glendale teaches an attack from the turtle position. 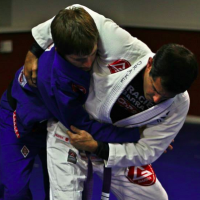 Today Robert shows us an attack that will catch your opponent into a submission. 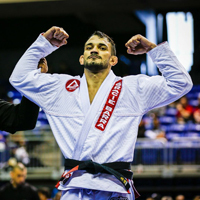 Robert explains that when your opponent attacks your back, grab your opponents wrist or sleeve and plant your other hand to get your hip out to the side. 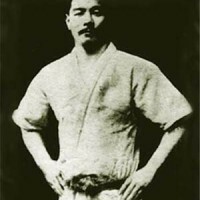 Then push into your opponent and stand up your outside foot. Now you can take your hand, the one on the mat that you’re pushing into your opponent with, and roll under and do a somersault. If you get your weight on your opponent right they should flatten out. Next cover your opponents back and trap their wrist with your elbow. At this point you can throw your weight forward and pull their wrist towards you for the submission. 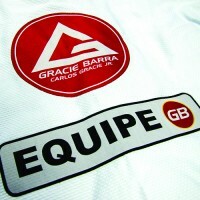 Professor Robert Hill started training over 7 years ago when Gracie Barra America first opened in Orange County. 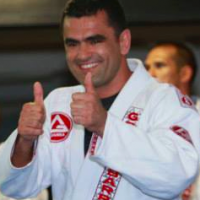 He has been able to train and develop his Brazilian Jiu jitsu skills to a very high level under the close supervision of Master Carlos Gracie Jr., Professor Marcio Feitosa, Professor Andre Fernandes, and Professor Marco Joca; as well as many other very talented Gracie Barra black belts. Prof. Robert discovered his love of teaching the art as a blue belt when he began assisting in teaching the children’s classes. 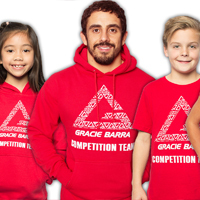 With Prof. Robert’s assistance as well as other instructors, what started as a handful of children soon grew to become the Gracie Barra “Little Champs” program that we know today. 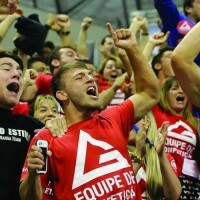 Since then Robert has had the privilege of refining his teaching skills over the years by teaching at other Gracie Barra Academies.